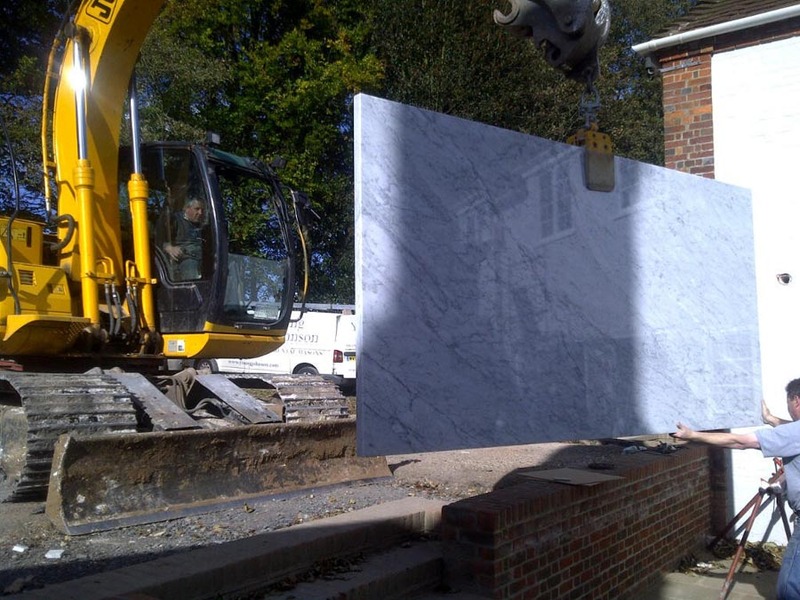 Please view our wide selection of marble, granite and natural stone projects here. Keep scrolling down the gallery page and more photographs will automatically load. You are very welcome to visit our yard to get a real feel for the marble, granite and natural stone and we're sure you will fall in love with their natural beauty as much as we do. Call us on 01380 827111. Stunning marble bathroom using Arabescato Marble from Italy for book matched shower walls and tiled flooring used to a resplendent effect. Bespoke stone fireplace A 75 mm thick Moleanos limestone fire hearth and mantle. A 75 mm thick Moleanos limestone fire hearth and mantle. Emerald pearl black marble kitchen worktops Emerald Pearl granite from Finland was used with glamorous effect in these kitchen worktops. 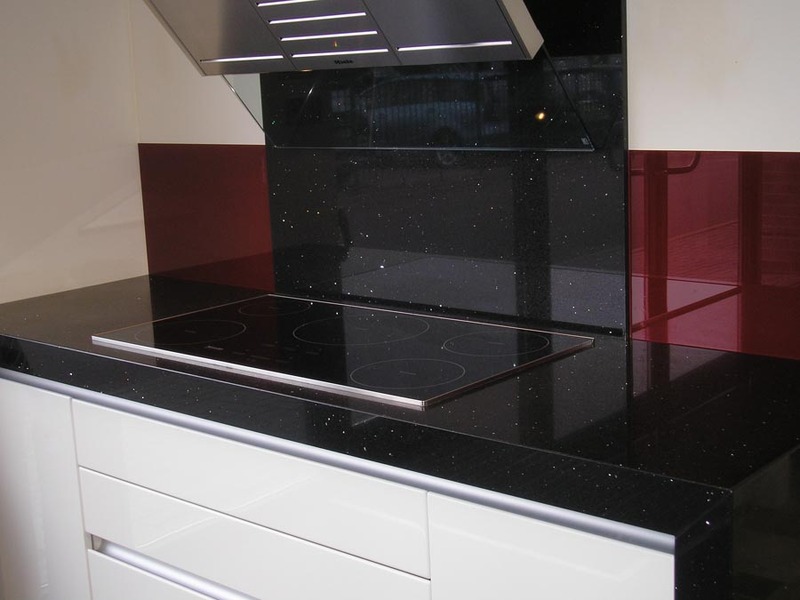 Emerald Pearl granite from Finland was used with glamorous effect in these kitchen worktops. 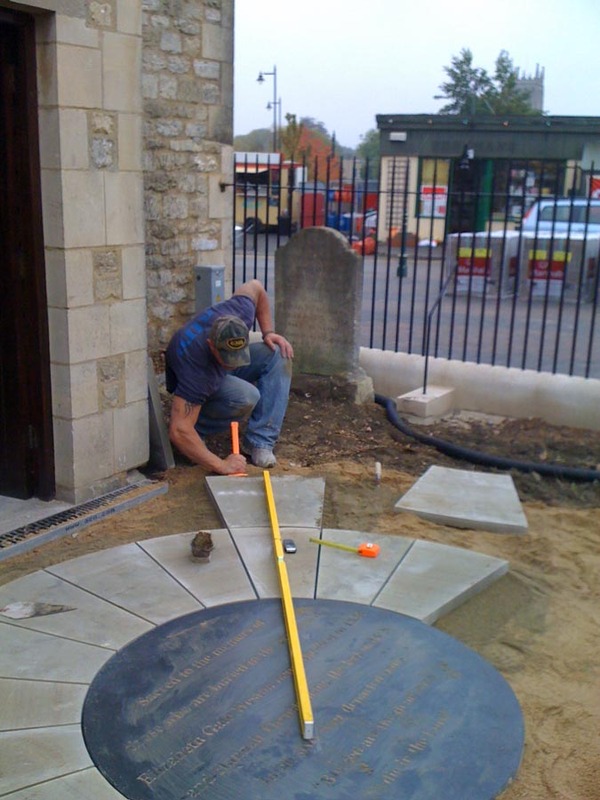 Work in the centre of Calne in Wiltshire: York stone cut paving with a centre circle of sign-written slate. Manufactured and installed by Windsmere Stone. 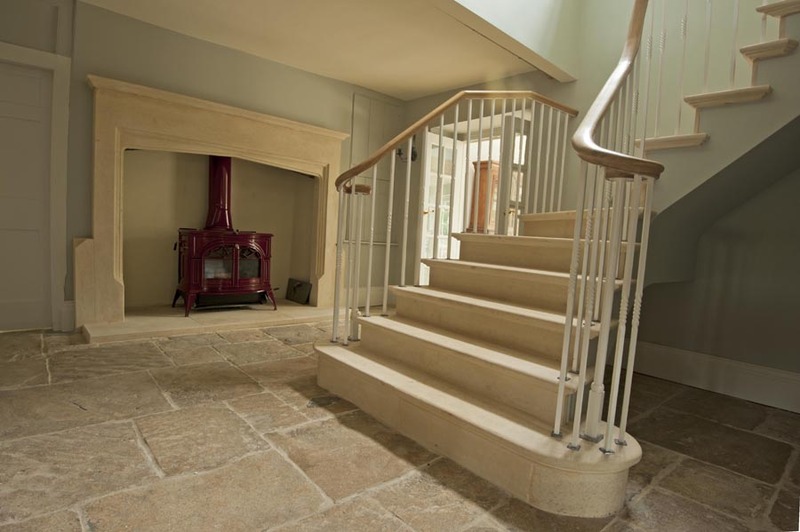 Exterior natural stone steps A flight of stairs in Indian Sandstone bordered by Forest of Dean stone walling. A flight of stairs in Indian Sandstone bordered by Forest of Dean stone walling. Granite kitchen worktops A small but perfectly formed kitchen island in Honed Nero granite. 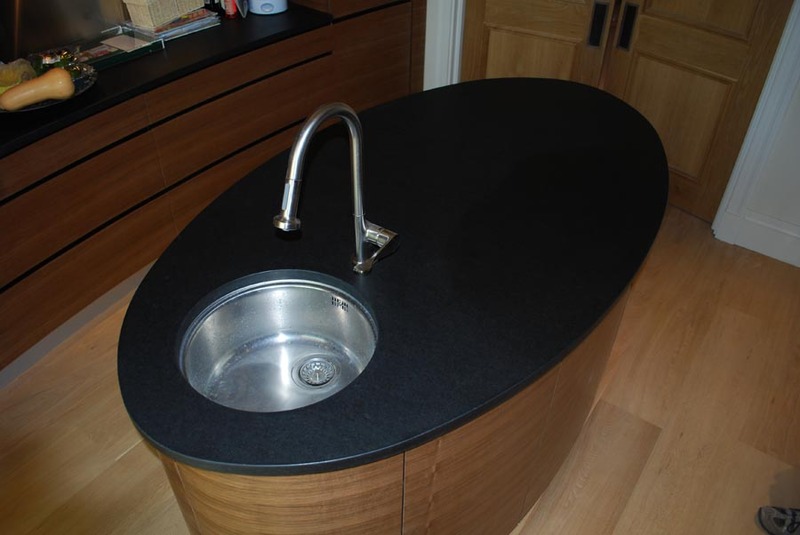 A small but perfectly formed kitchen island in Honed Nero granite. Granite kitchen fitted worktops and splashback Man made Quartz worktop with splash-back and mitred front edge onto side panel. 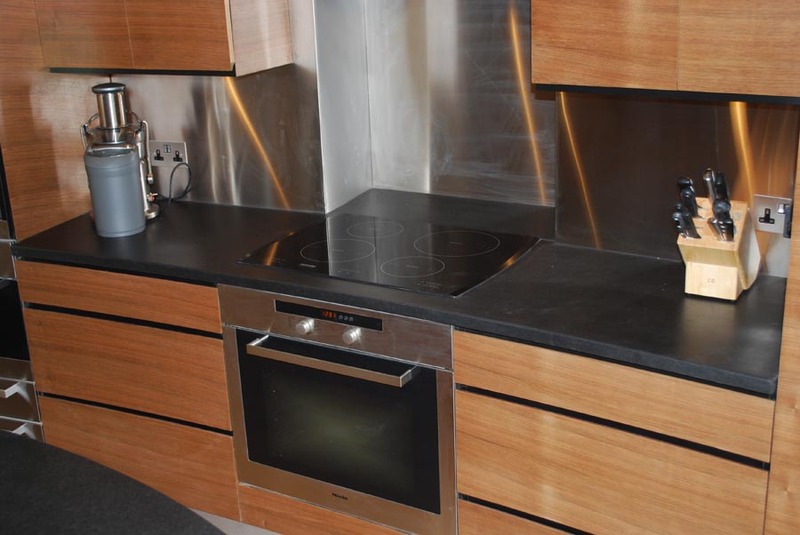 Man made Quartz worktop with splash-back and mitred front edge onto side panel. 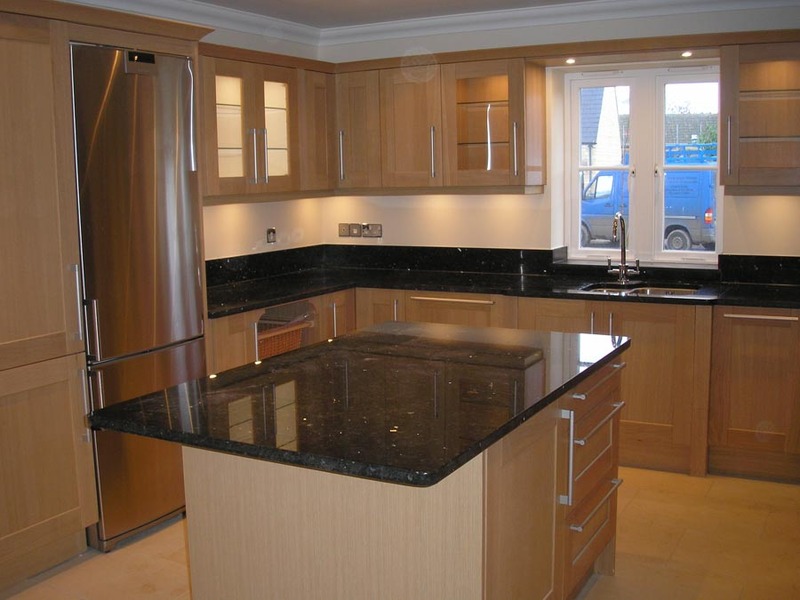 Granite fitted kitchen worktops Profiled peninsular crafted in Cosmos granite. Profiled peninsular crafted in Cosmos granite. Black marble basin A touch of marble used to add a little drama in this vanity top. A touch of marble used to add a little drama in this vanity top. Black marble double basins Both sophisticated and practical this black marble sets off these twin basins beautifully. Both sophisticated and practical this black marble sets off these twin basins beautifully. Moleanos limestone bathroom. With a one piece limestone for the shower walls giving a fantastic grout-less shower. limestone bathroom shower walls Moleanos limestone clad shower walls with a feature-niche. Moleanos limestone clad shower walls with a feature-niche.